This was take with narrow band filters which is processed in a "Hubble palette" that gives it the green and blue colors. The Elephant's Trunk nebula is a concentration of interstellar gas and dust within the much larger ionized gas region IC 1396 located in the constellation Cepheus about 2,400 light years away from Earth. 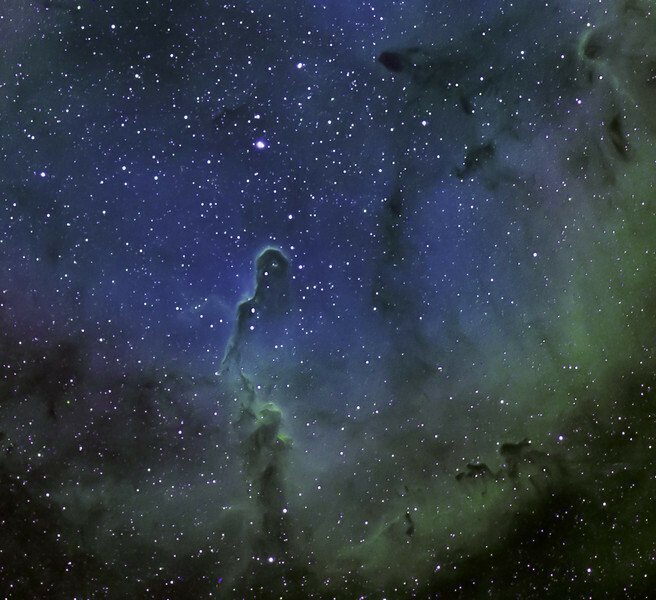 The piece of the nebula shown here is the dark, dense globule IC 1396A; it is commonly called the Elephant's Trunk nebula because of its appearance at visible light wavelengths.